In 2018 the start time for Weelchair Race was at 9:00 am. The start time for 2019 has not been set yet, but is expected to be approximately at the same time as 2018. Finalt start time will be published closer to the event. 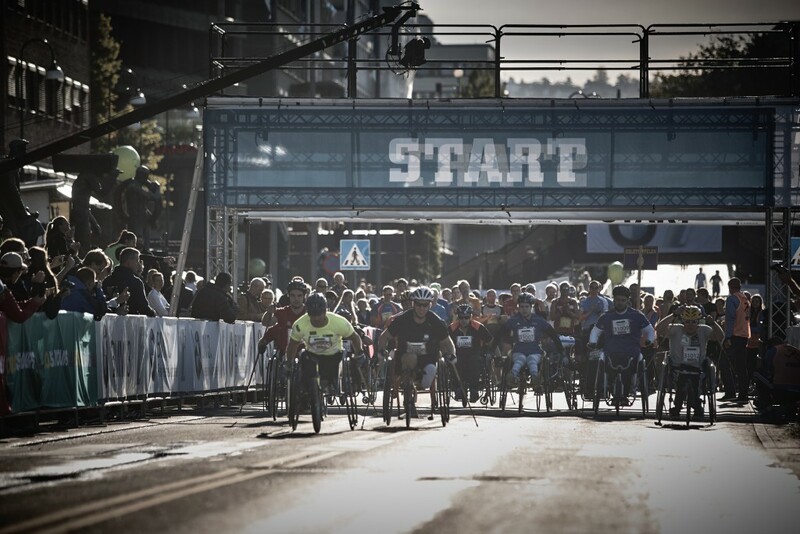 To participate in BMW Oslo Marathon the wheelchair must have three wheels. 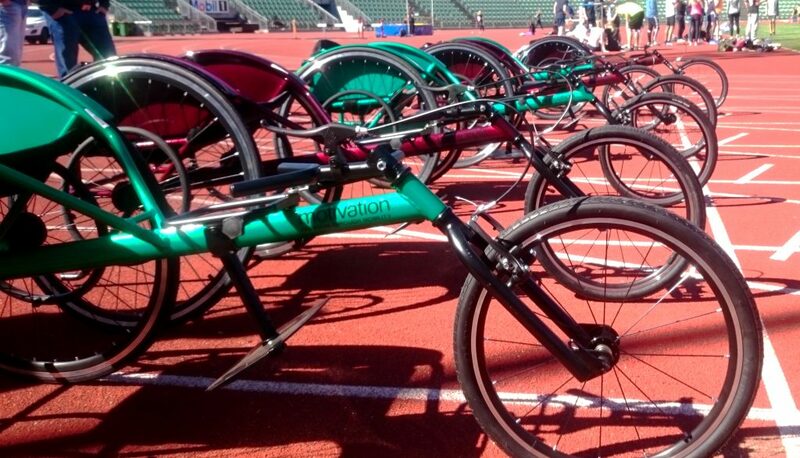 These are the only weelchairs allowed when participating in the Oslo Maraton. No other weelchairs will be allowed to start. See photo below of Racing Wheelchair allowed for participation at the event. Course for 2018, subject to possible changes due to traffic and safety. Course map with km, height profile, drinking and music stations.